Maryland Del. Marc Korman wants to standardize how long a traffic light will stay yellow. Under current law, a yellow light has to last for three and a half seconds if there’s a speed camera at the intersection. However, some municipalities haven’t always adhered to that law. WASHINGTON — Nearly every driver has played that “game” where they try to beat a yellow light before it turns red. 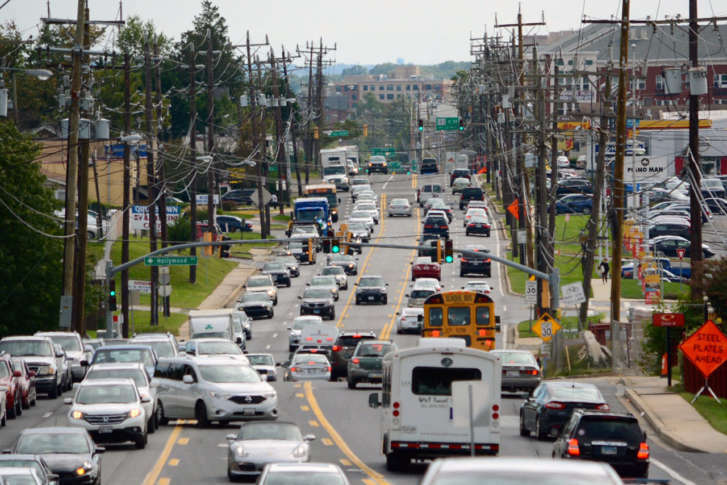 One Maryland lawmaker wants to standardize how long yellow lights last. If you’re familiar with the road then chances are you have a good feel for how long the traffic light will stay yellow and whether you can make it. On a road you don’t know as well, it’s more of a guessing game. If there’s a red light camera at that intersection, guessing wrong can cost you. Maryland Del. Marc Korman said that’s not fair, and it may not be safe. Under current law a yellow light has to last for three and a half seconds if there’s a camera posted at the intersection looking for red light runners. However, some municipalities haven’t always adhered to that law. The variation in the law means Korman wants to standardize those special intersections just like the state has standardized the threshold for speed camera violations. Korman acknowledged there may be other ways to go about it, and seemed willing to look at different options. Also there to testify on the bill was AAA-Mid Atlantic representative John Townsend, whose organization has been supportive of photo enforcement, when it’s clear that safety and not revenue is the main goal. He also told lawmakers it’ll improve safety on the road, by helping to “reduce the number of rear-end crashes and collisions at intersections” by as much as 25 percent. “We see this happening because of the influx of red light camera systems as drivers slam on the brakes to avoid running through the intersection, as they should,” he said.